Why Didn’t They Have Osmo When I Was A Kid? 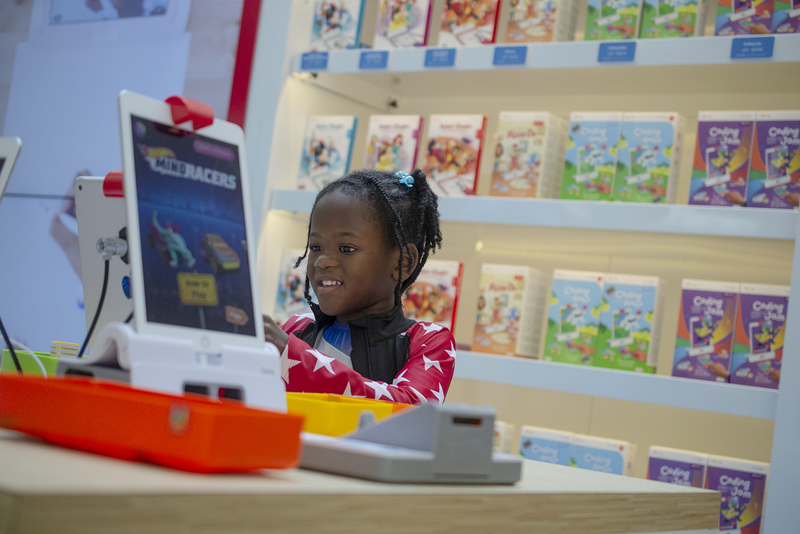 HomeWhy Didn’t They Have Osmo When I Was A Kid? My friends laugh at me because my kids don’t have a lot of toys. We don’t have a playroom in our home and I am quick to tell people who want to gift my kids to NOT buy any toys. There are several reasons for this but the main reason why I just CAN’T with the overconsumption of toys. Simply put…who has time to pick all of that up? Not me! I hear so many horror stories from my Mom friends about how their mental health takes a dip every time they glance at the state of their home. 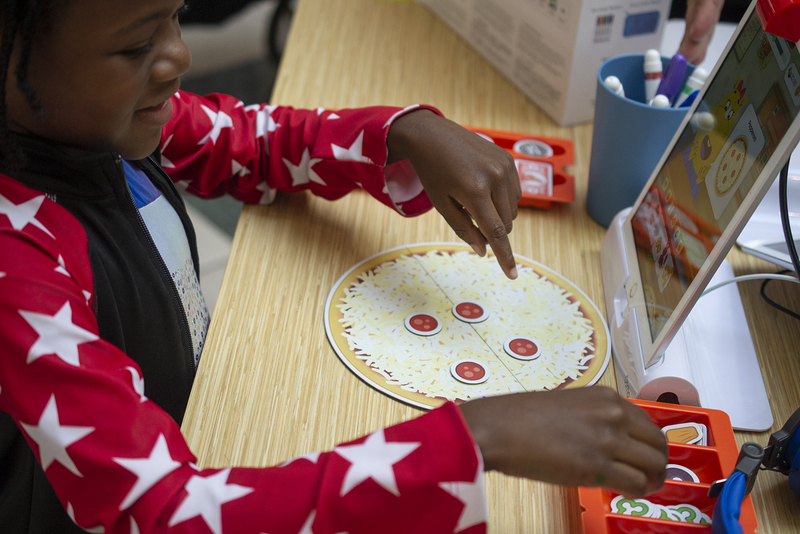 How their homes no longer look like homes but like preschool classrooms. I have zero interest in tripping over 2 dozen parts of ONE toy. Nope. My kids have a few things and what they aren’t using, we donate, toss or rotate out for something else. 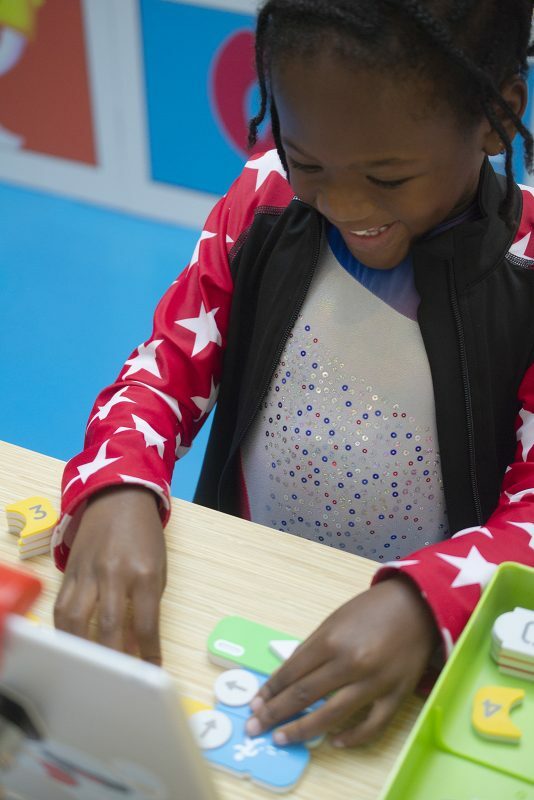 Howeverrrrr, this holiday season, I’m thinking I may splurge just a little bit on some Osmo goodies. Have y’all heard about this? Also, a stickler mom in the screen time department (I know, I know…but also, I’m not sorry), I may be a liiiiittle more lenient because Osmo is hot stuff. 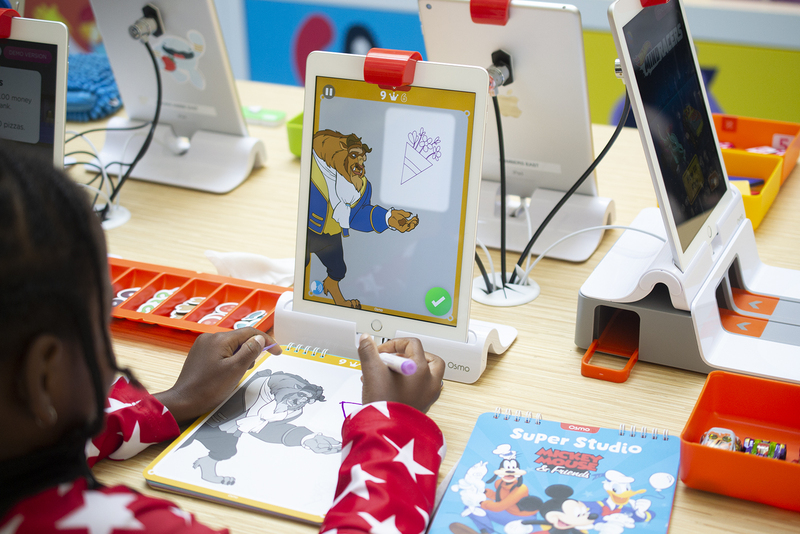 Simply put, Osmo is a gaming accessory that is powered by apps on your Amazon tablet, iPhone or iPad. Elle and I have been having a ton of fun with Osmo and we’ll be sharing more later but I had to let you know about their Osmo on Tour Experience. 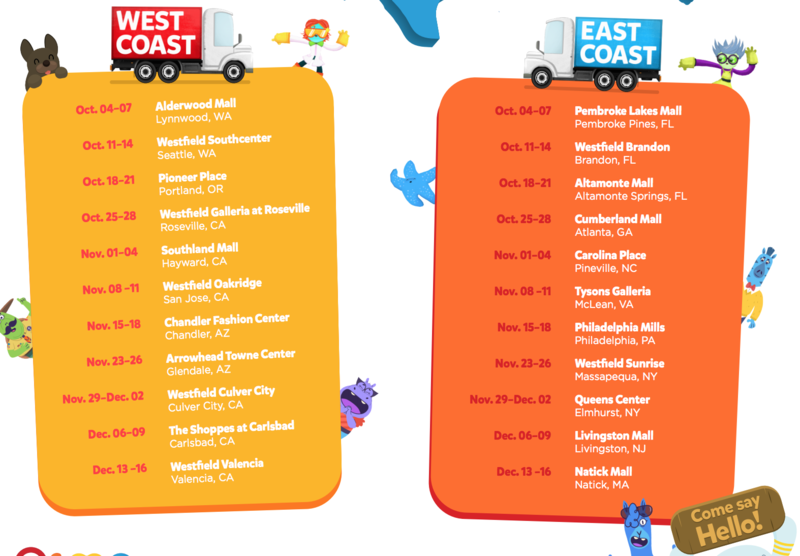 Osmo is hitting the road across 22 cities to set up shop to allow kids to get up close with Osmo. I did NOT expect Elle to have as much fun as she did. I practically had to pull her away and I was pretty impressed with how quickly she picked up on all of the games she played. 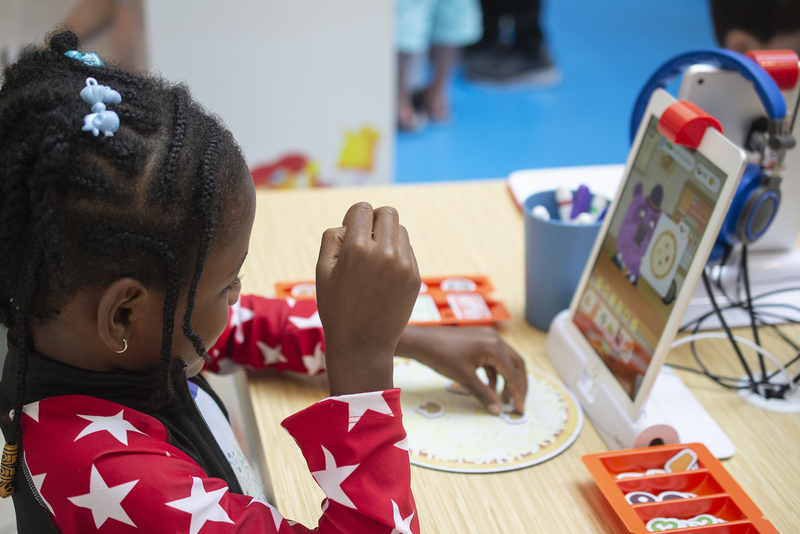 Mind you…ALL of these games involved math, coding, problem-solving, critical thinking and her creative ability. I meeeeean, win, right? The Pizza Co. game was her favorite. We will definitely be scooping this one up because she had an absolute blast. The Super Studio Disney Princess game was another big hit for her. The games start at $19, the Osmo Base (which is needed for all games) is $29 and the complete kits are pretty comparable are reasonably priced. I’m hoping that at least 1 of these locations are near you so you can check them out in person. Stay tuned for our reviews. We can’t wait to share! fbq(‘init’, ‘1618427458466502’); // Insert your pixel ID here.